​ReliabilityFirst Regional Standards provide for the reliable regional and sub-regional planning and operation of the Bulk Power System (BPS). They go beyond, add detail to, or implement NERC Reliability Standards, or cover matters not addressed in NERC Reliability Standards. Fair process - The Standards Development Process shall provide for reasonable notice and opportunity for public comment. At a minimum, the procedure shall include public notice of the intent to develop a standard, a public comment period on the proposed standard, due consideration of those public comments, and a ballot of interested stakeholders. Openness - Participation is open to all Organizations who are directly and materially affected by the ReliabilityFirst region's BPS reliability. There shall be no undue financial barriers to participation. Participation shall not be conditioned upon membership in the ReliabilityFirst, and shall not be unreasonably restricted on the basis of technical qualifications or other such requirements. Meetings of Standards Drafting Teams are open to the ReliabilityFirst membership and to others. Balanced - The Standards Development Process strives to have an appropriate balance of interests and shall not be dominated by any two interest categories and no single interest category shall be able to defeat a matter. Inclusive - Any entity (person, organization, company, government agency, individual, etc.) with a direct and material interest in the BPS in the ReliabilityFirst area shall have a right to participate by: a) expressing a position and its basis, b) having that position considered, and c) having the right to appeal. Transparent - All actions material to the development of ReliabilityFirst Standards shall be transparent. 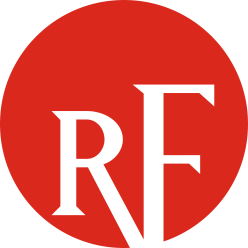 All standards development meetings shall be open and publicly noticed on ReliabilityFirst's Web site.